Part of the Stewart collection of photos from the early 1900s. 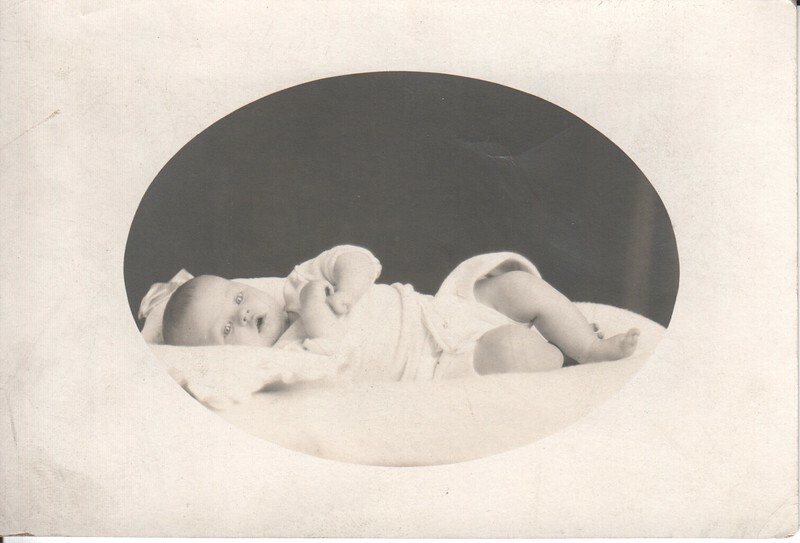 Note on back says "Mabelle Kyle's oldest child Marjory". AZO photo post card.